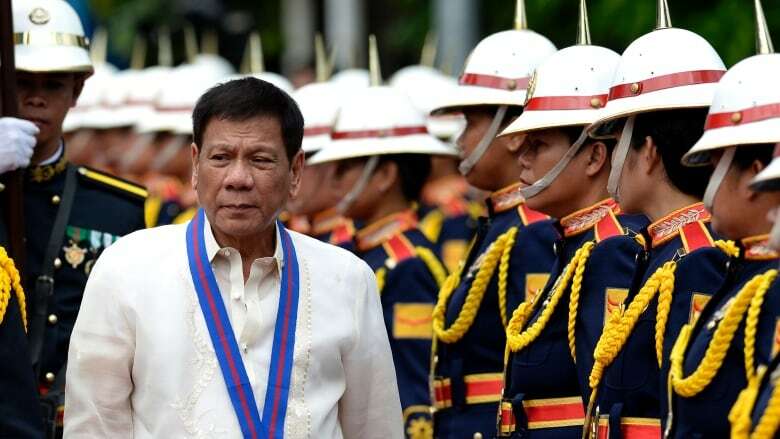 The president of the Philippines makes no apologies for his war on drugs. But critics say he's enabled vigilante and extra-judicial killings that now number into the thousands. The Current hears the critics' concerns and the government's justifications. ​Danica Mae Garcia's family was just sitting down for lunch when the gunmen came. Two masked men pulled up on a black motorcycle outside her family's house in Dagupan City, Philippines, and opened fire. They were targeting the girl's grandfather, Maximo Garcia. But five-year-old Danica Mae was killed in the crossfire. That was in August. But in an interview with The Current's Anna Maria Tremonti, the girl's aunt, Jelly Ace Valasquez, says her niece's killers still haven't been caught. "We are trying to move on and just thinking that maybe that's part of our life," she tells Tremonti. "We are just praying that Danica can have justice for what happened to her." 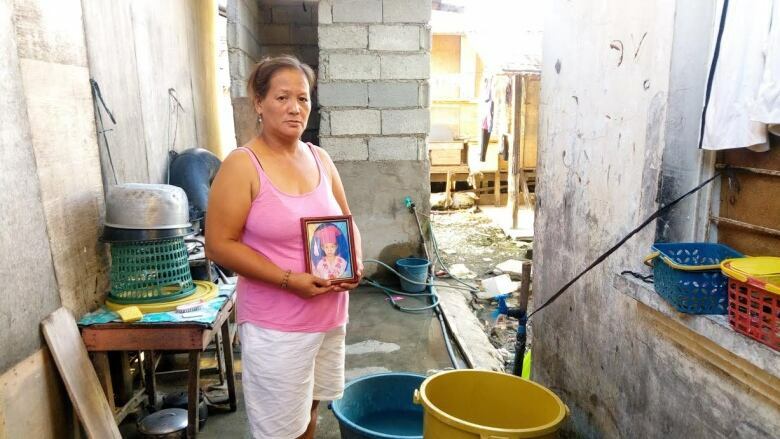 Danica Mae is one of thousands of Filipinos who have been killed in the Philippines in connection with the country's bloody war on drugs, started by president Rodrigo Duterte in July. Some have been killed by police, allegedly in drug arrests gone wrong, but many have also been killed by masked vigilantes who have never been caught. "The cold blooded killing of Danica Mae Garcia illustrates what is nothing less than an utter human rights catastrophe that's underway in the Philippines," says Human Rights Watch Deputy Asia Director Phelim Kine. "President Rodrigo Duterte's abusive and ill-conceived 'war on drugs'... has killed more than 5,000 people since he took office on June 30th." Kine tells Tremonti that president Duterte took office on a platform promising Filipinos that he would rid the Philippines of crime and drugs. 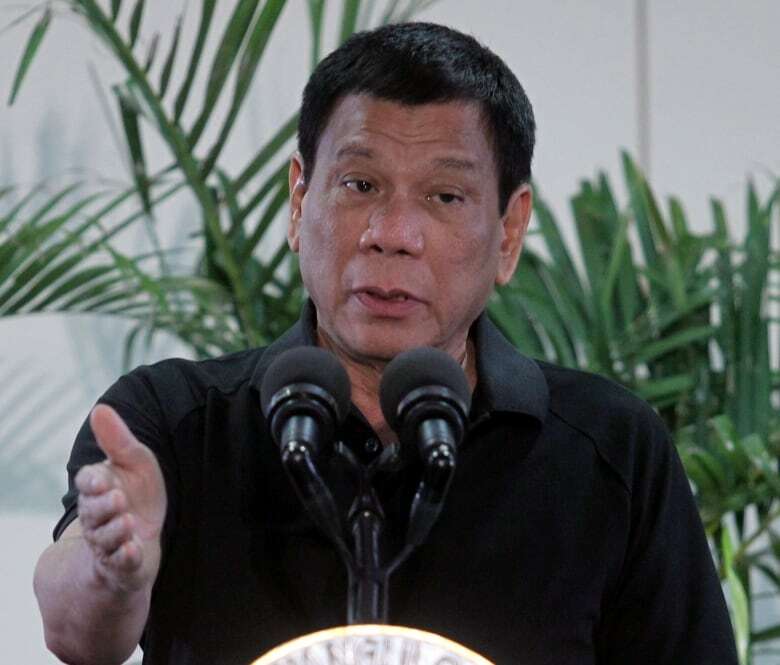 "He made campaign promises… to fill Manila Bay with the bodies of thousands of executed suspected criminals and he is delivering on his campaign pledges with a vengeance." In a speech in September, Dueterte compared himself to Adolf Hitler, saying he would be "happy to slaughter" drug addicts. Peter Laviña, deputy cabinet secretary of the Philippines, tells Tremonti that Dueterte's comments should not be taken literally. "We say things differently in our own culture, and in our own context," says Laviña. He adds that "the president's way of saying things is very unique. The only way you deal with criminals in [this] case is to be tough against them." When pressed to confirm if he supports the anti-drug violence in the Philippines, Laviña was non-committal. "That's the way the president says things but that is not the policy of our government." This segment was produced by The Current's Julian Uzielli and Ines Colabrese.